UNN Admission List Released. 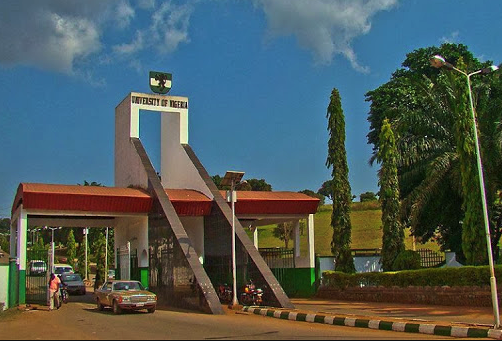 The University of Nigeria, Nsukka (UNN) admission list for the 2018/2019 session has been released. Candidates who sat for the UNN post UTME screening exercise can check their admission status below. Note that the primary (merit), supplementary, direct entry and advert/shopping admission lists are out. This is to inform all aspirants of the University of Nigeria Nsukka (UNN) that the UNN admission list for the 2018/2019 academic session has been released. The under-listed candidates have been offered Provisional Admission for into the University of Nigeria, Nsukka (UNN) Degree Programmes for the 2018/2019 Academic Session. Note that the UNN supplementary admission list is also available. Once you have logged in you will see a welcome notice just move down on the page you will see “Check 2018 UTME/DE Admission Status on CAPS“. After confirming that you have been given admission by checking UNN admission list, the next step is to go ahead with the necessary clearance and registration. First, find out the amount that UNN is requiring to be paid as acceptance fee for the admission that has been offered to you. Note that if you do not pay acceptance fee, it means that you have rejected the admission offered to you and in that case, you will lose the admission slot to someone else. The next information you need to find out is UNN school fees for your course or faculty, so that you can get the required fees ready as soon as possible. Note that it is advisable to pay your school fees immediately after paying your acceptance fee, to avoid being hindered from being matriculated (officially enrolled and added to UNN’s student database) on time. Next, it is important that you read and properly acquaint yourself with UNN’s academic and general rules and regulations to avoid falling into any trap that could lead to your expulsion or any other detrimental punishment. After you have completed all the necessary payments and registration, it is a good idea to get your faculty and departmental lecture timetables as soon as possible so that you can start attending lectures. Attending lectures will set you up for a smooth academic career in UNN. Congratulations on your admission. All the best!